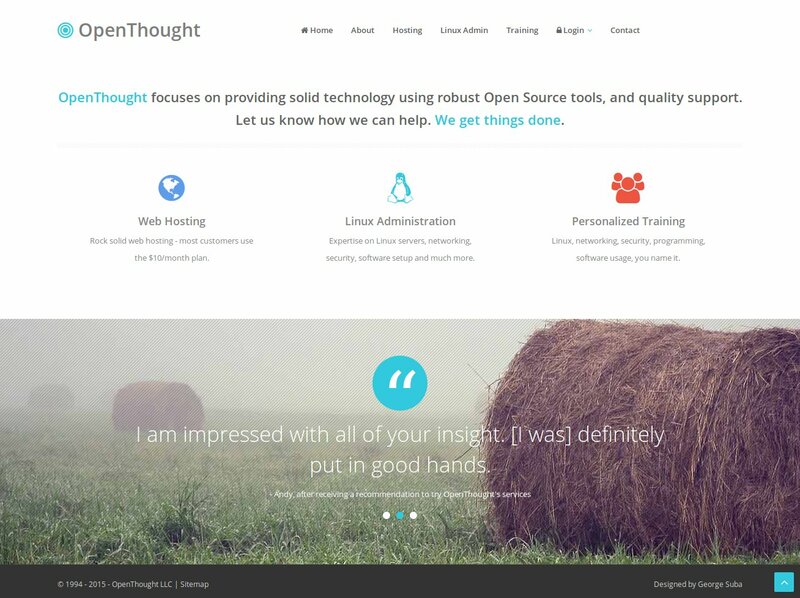 OpenThought, LLC is a company founded by Eric Andreychek, who is eager to meet your Linux consulting, training, and web hosting needs. OpenThought is based in Harrisburg, Pennsylvania. Eric began working with Linux and Open Source way back in 1994. It started as a hobby, and later began using it professionaly during the day and for various side-jobs. His passion for working with people and Open Source still not quenched, Eric formed OpenThought, LLC, where he could do both.